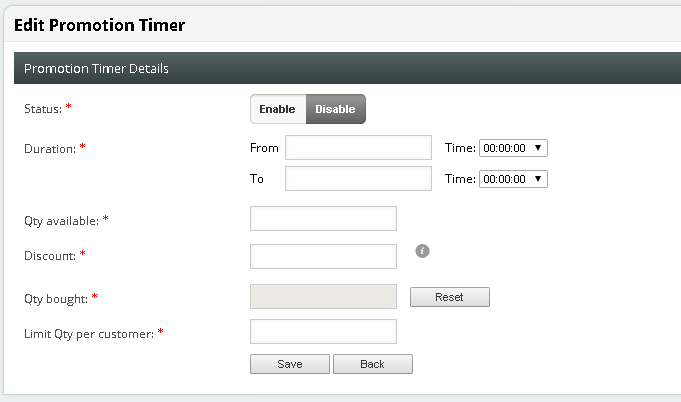 Now you can do a count down timer for special promo for your products! Give your customer a sense of urgency so that they place order NOW! 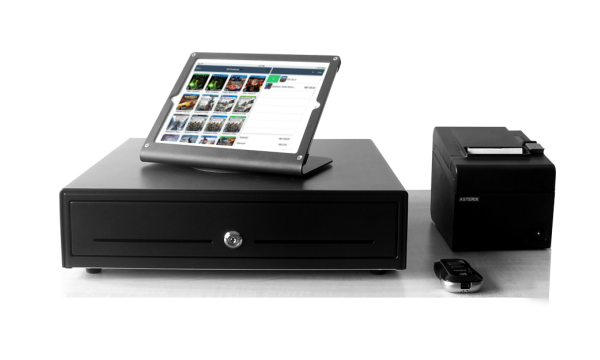 See the webShaper POS [ipad app] which synchronize your online and offline inventory and prevent overselling! We are running a special launching promotion now at 50% off for webShaper POS, email sales@webshaper.com for more details. webShaper is the 1st and only one which support synchronization with Lelong, Lazada, Rakuten and 11street! Now you can enable the Customer Group Discount to be applied on top of normal discount. Eg a product price is RM100 [SRP], a 10% normal discount it will cost RM90. When you setup Customer Group Discount at 10%, If you select “Apply on top of product discount”, it will apply the 10% on top of the already discounted price of RM90 instead of RM100 [SRP], so your customer will get the price of RM81. But if you select “replace product discount”, it will apply the 10% on the SRP instead, which is RM100 – so your customer will get the price of RM90. Learn how to setup Tax setting for GST Inclusive or Exclusive (with GST Info) now! 1. Customer filtering for discount code. 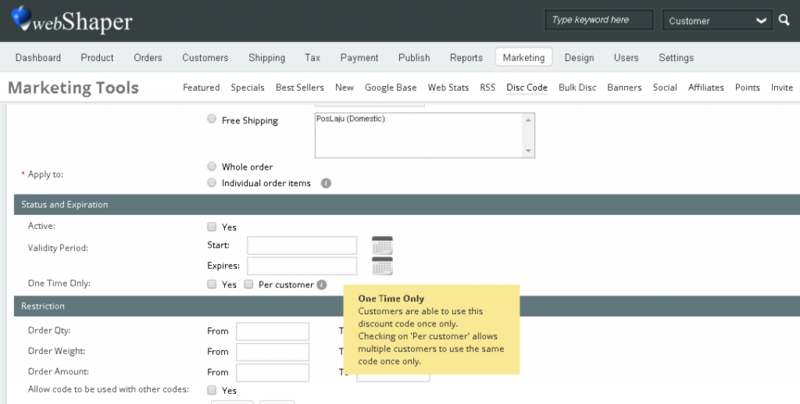 Now you can easily search and filter out the customer which entitled for the discount code! 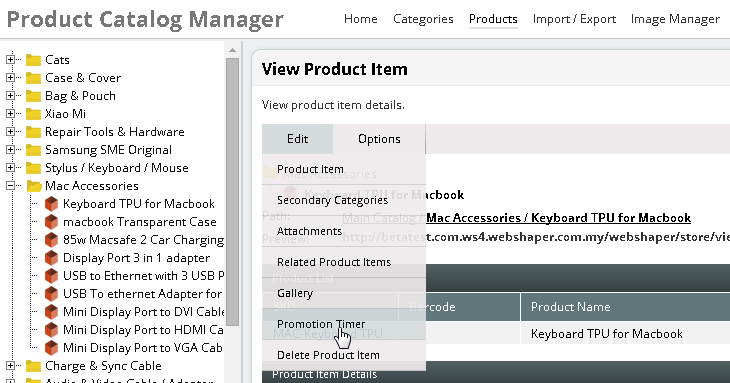 Now you search when you add products in the “Featured Products”, “New Products”, “Best Sellers” and “Special Promotions”. 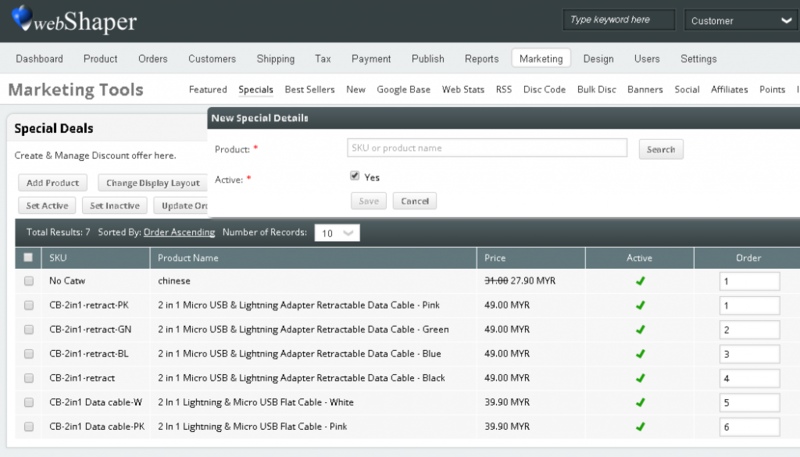 Super fast and useful if you have hundreds or thousands of products in your database! One of the most sought after improvement by our customers – You now can generate one discount code, and make sure one customer can use it only once.